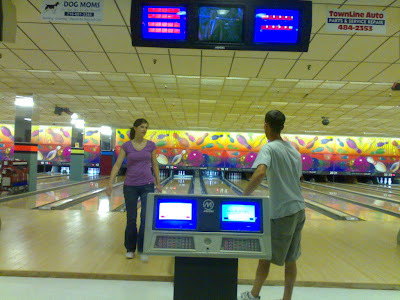 Yup, for 3 weeks here we decided to played bowl, as the fiancee and his sister had a team here and they do tournament and wants to show me their area as well. And I can say that it is way too different from what we have way back in GenSan. But that's okay we do manual in Pinas and everything here is all automatic. Took some photo and hope that is a good shot, you can take a guess. wow gusto ko anang bowling wapa ai. nice diha ba! labay lang ko. hi nova, visiting here today! hope to see u in my blog.